You can handle Apple ID-related transactions from the following web links. If you've forgotten your Apple ID, or if you're not sure if you have an ID, find a few ways to find your ID from the link below. If you have forgotten your Apple ID password, you can access it again by resetting the password. 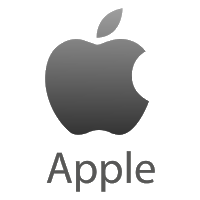 You can update your username, password, and payment information from the Apple ID account page. Of course, if you want to delete your Apple ID account completely, you can see the delete link and instructions at the bottom of the page. Change or remove your Apple-ID payment information. then tap Show Apple ID. You may need to login.